Masizzim: Unveils Brand New Menu with Exciting Dishes such as Shabu-Shabu, Crabmeat Egg Roll, Bulgogi Rice Balls and many more! Shall we head back to Masizzim for dinner again? This is a recurring question that pops up among my friends whenever we’re meeting for a meal. We enjoyed the food so much that we’ll always over-order, and it’s a MUST to have their signature stews, egg rolls and my favourite rice balls. 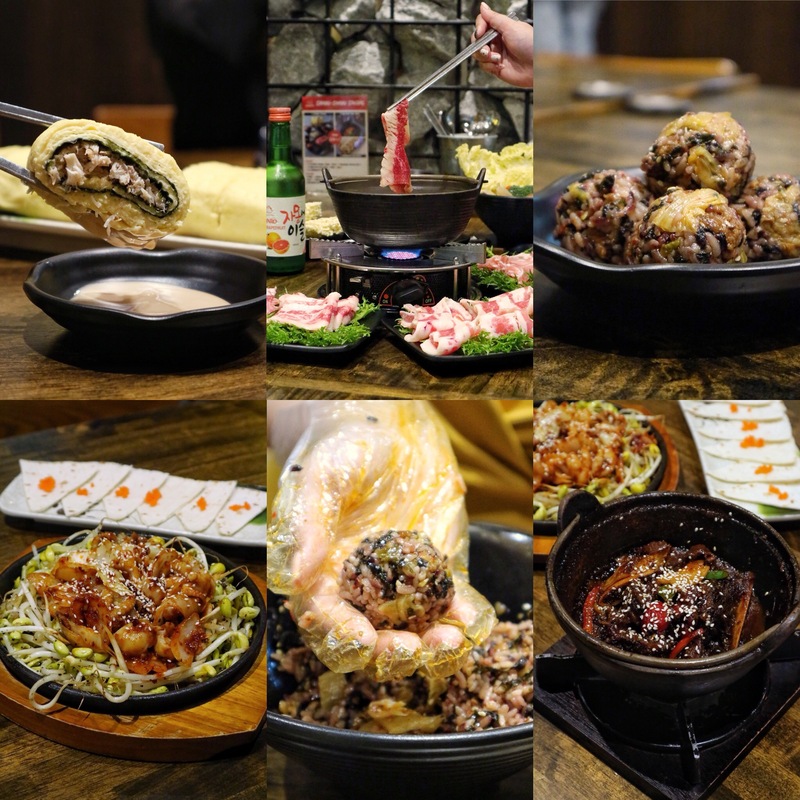 To make things even more exciting, Masizzim has recently unveiled a brand new menu which features the value-for-money Shabu-Shabu that comes with three choices of meat, Bulgogi Rice Balls with Beef or Pork *internally screaming* ?, addictive Crabmeat Egg Roll and Spicy Octopus. Because Korean food are always meant for sharing, it’s best to jio your family and friends along to enjoy these new treats from Massizzim. The food tastes even better with sharing ? So, craving for good Korean food or a sneak preview before you fly to Korea? Fret not, you can get it all sorted out at Masizzim! Many ???? up! Are you ready for a hearty Korean feast? Because I am – anytime! My eyes are fixed on the Shabu Shabu, Egg Roll and the super addictive Rice Ball! I’ll always order a rice ball (usually anchovies) whenever I’m at Masizzim because it’s that GOOD! To add on to their seafood selection, they have recently rolled out Bulgogi Pork/Beef for the meat-lovers. Served in a deconstructed concept, diners can enjoy rolling the rice themselves – mixing all the ingredients up and rolling them into balls. It’s flavoursome and super addictive! Once you start, you literally can’t stop. For those who are lazy (like me), you can treat this like eating a Bibimpab! Taste equally delicious too! This soft and pillowy egg is stuffed with generous servings of flavoursome shredded crabmeat and seaweed. Dip it with the sauce for maximum pleasure. Remember to order more if you’re going in large groups! If not, you guys will be fighting to finish the last piece! hahaha! Personally, I’m hooked to the spicy version (and for those who can’t take spicy, you should really try this because it’s not that bad)! Served in the same stye as Masizzim’s signature stew, this Shabu-Shabu is flavourful and has a really nice sweet aftertaste. Comes with assorted vegetables and mushrooms, Korean Ramyeon (you will order more cos damn good), and a choice of sliced pork collar, beef short plate or wagyu beef, you can legit eat to your heart’s content! Oh yes, remember to order some SOJU because what’s a Shabu-Shabu without alcohol! The spiciness comes in right at the end, and if you can’t take spicy, it’s best to avoid this dish. Octopus was flavoursome, not too chewy and goes really well with the tortilla wrap and ebiko! Hmm.. slow-cooked in Masizzim’s secret sauce, these beef ribs were tender and juicy. A pity my photo didn’t do any justice to the ribs because I loved it! Previous PostSuper Loco & Lucha Loco: Dine under the stars with Brand New Mexican dishes! Next Post8 Places in Singapore to GET your Bubble Tea Cravings Sorted Out!